Sid Mashburn’s venture into e-commerce land has, without a doubt, taken his eponymous label to the next level. While the majority of the goods sold in his store were originally offered online as well, there was one specific category that was completely absent on the webshop: tailored goods. However, it appears that has recently changed. 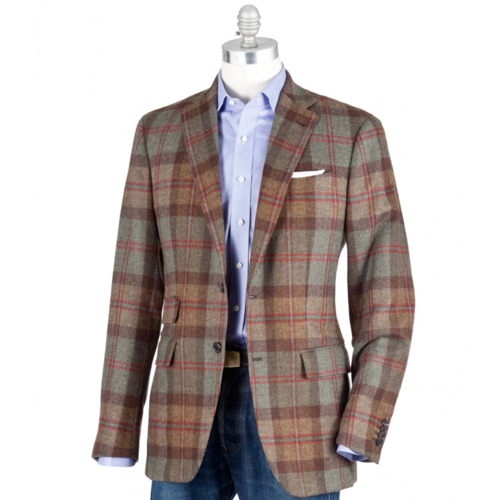 New to the store are a couple of beautiful made in Italy sport coats. While they both deserve some attention, it’s the Scottish Tweed Plaid Jacket that’s got me buzzing. It’s made using a full canvas construction — which is something to be expected from Sid’s love and appreciation for fine tailoring. The fit is tailored with a slightly shorter body. European sizing. This entry was posted in Sportcoats and tagged Sid Mashburn. Bookmark the permalink.